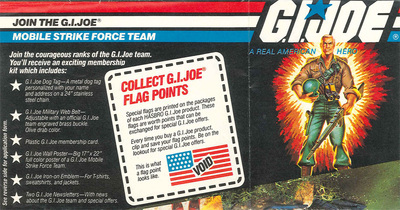 A second "For G.I. 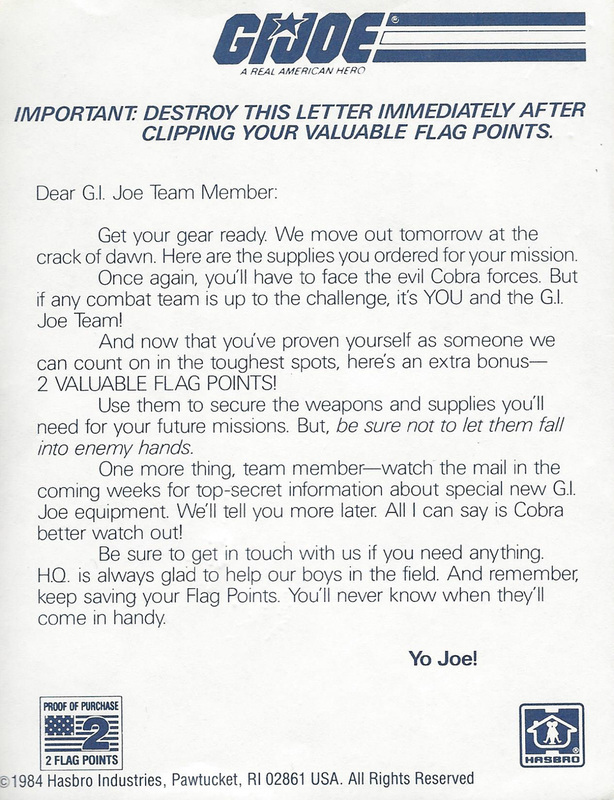 Joe Team Members Only!" 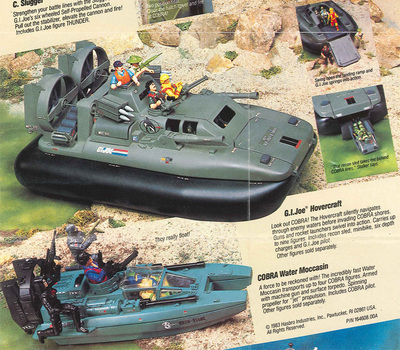 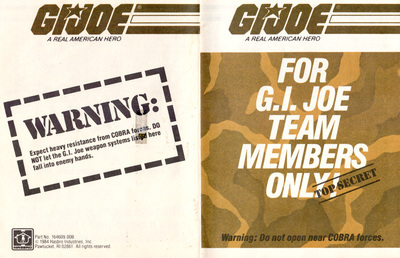 offer was printed in 1985, in green instead of orange. 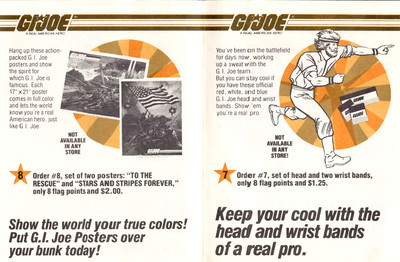 This was a two sided print. The other side can be seen below. This was a two sided print. The other side can be seen above. 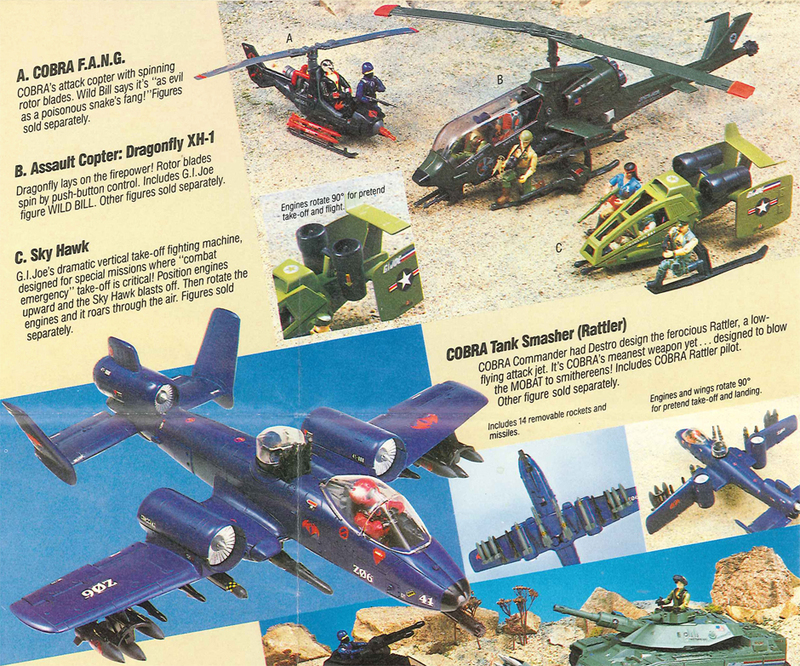 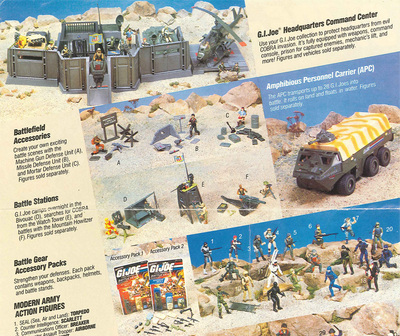 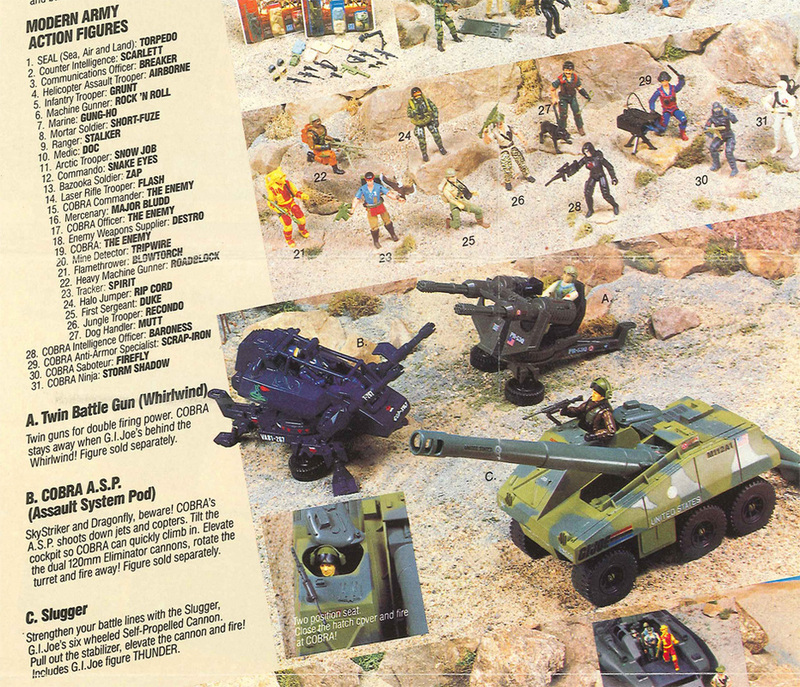 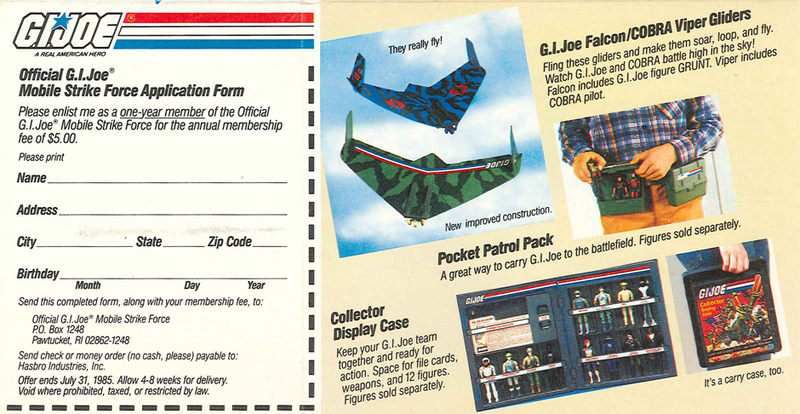 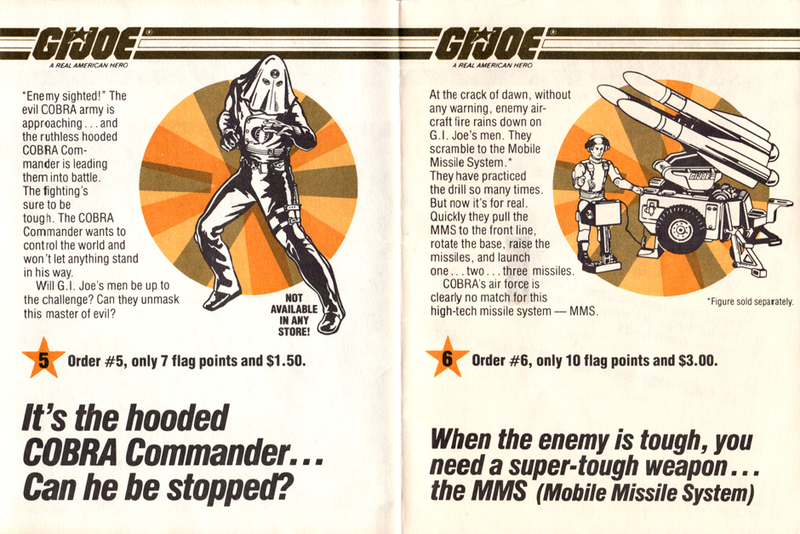 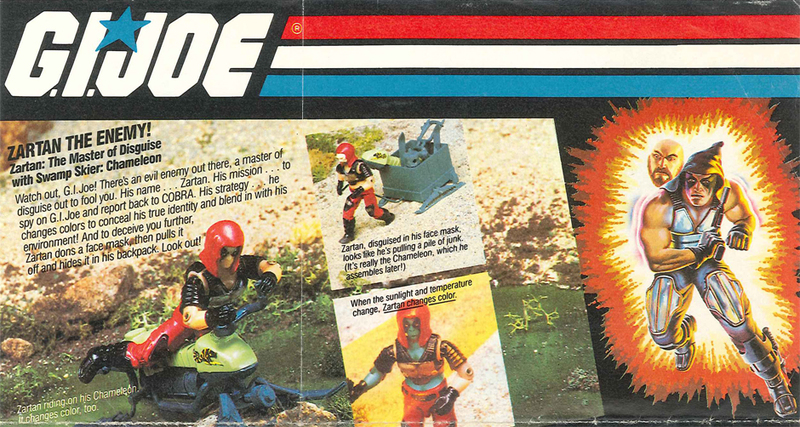 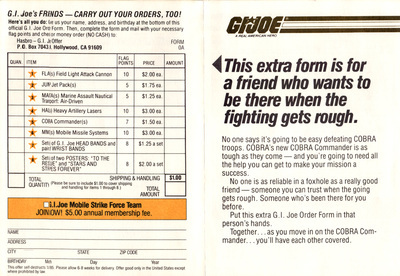 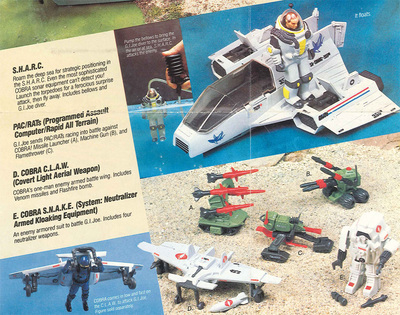 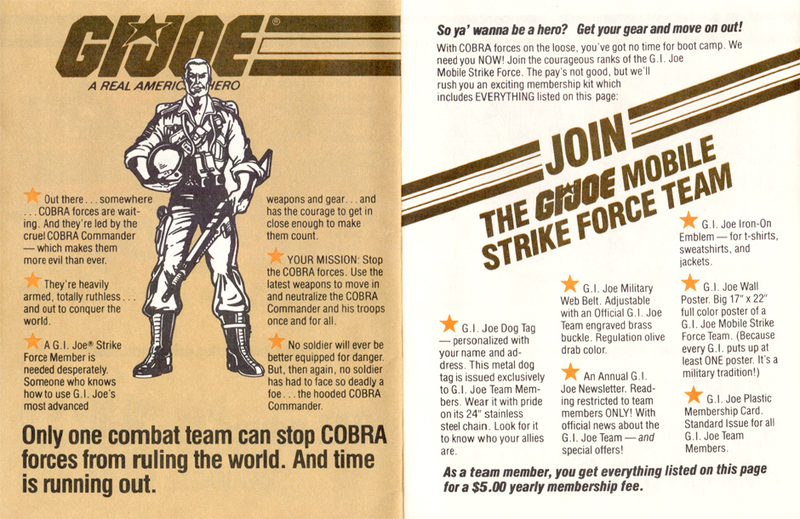 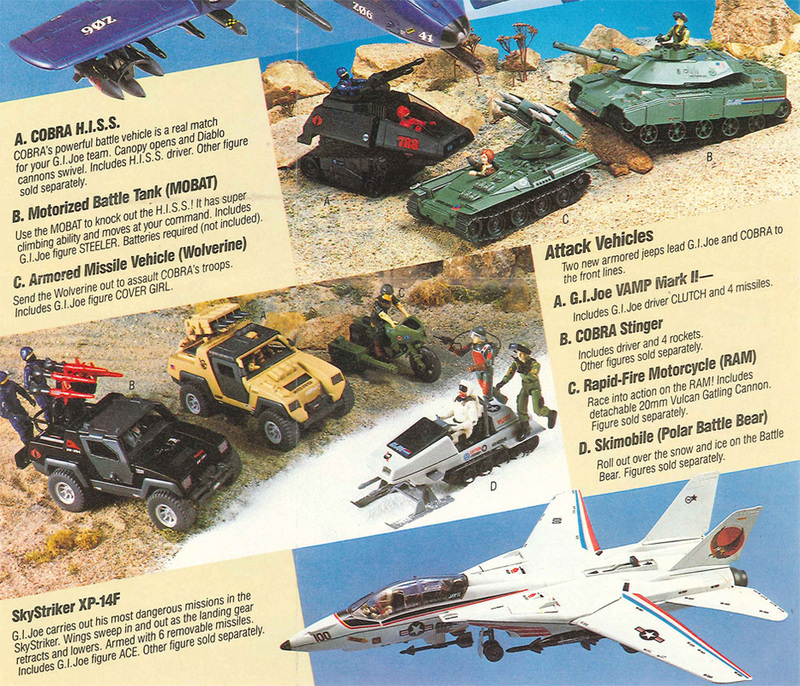 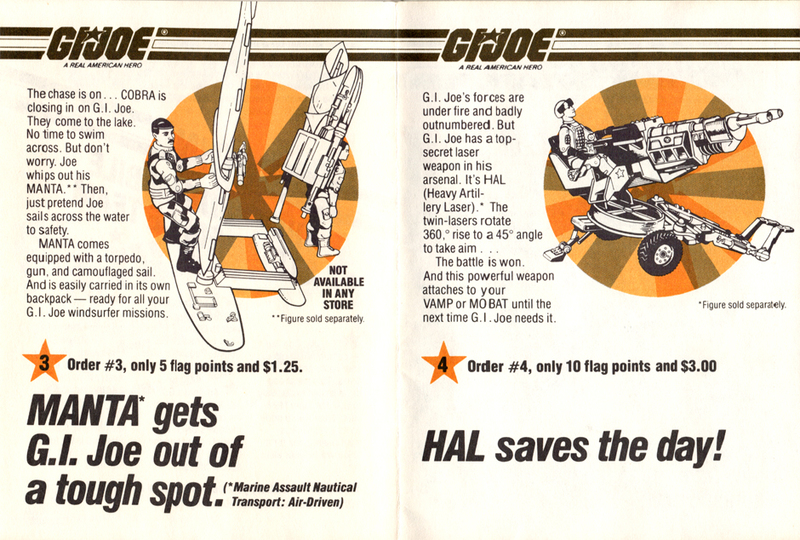 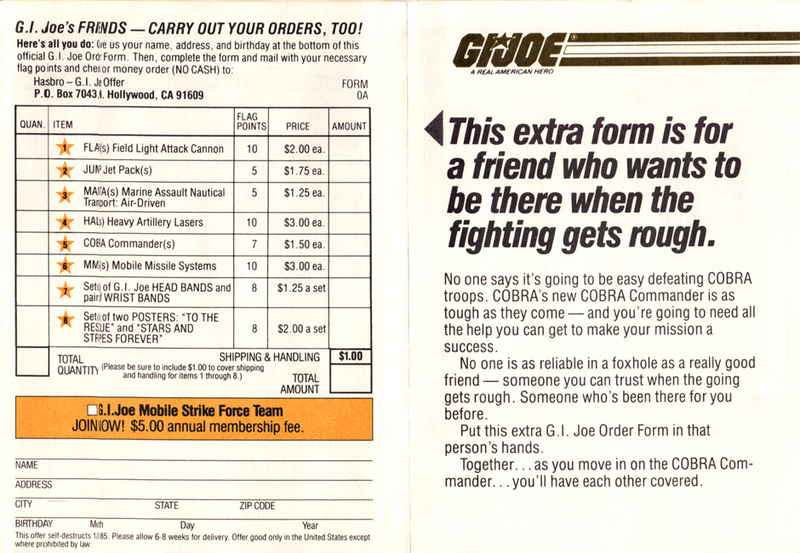 The insert below was included with mail orders from Hasbro. 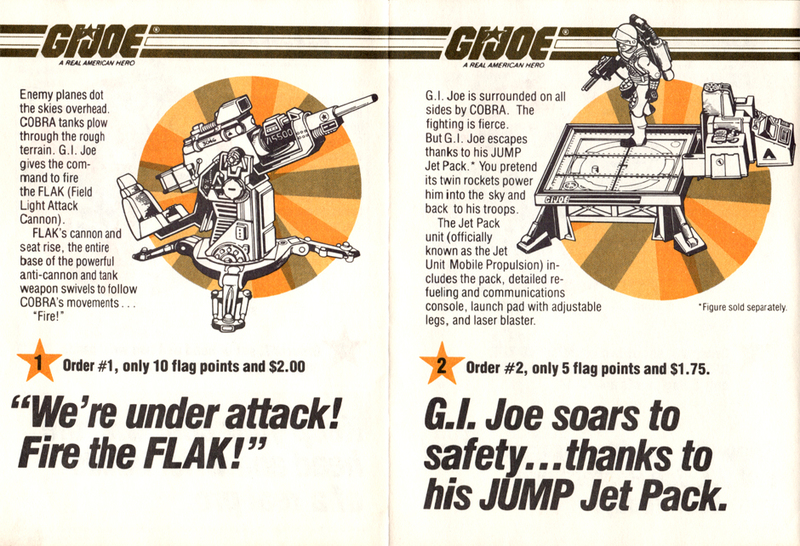 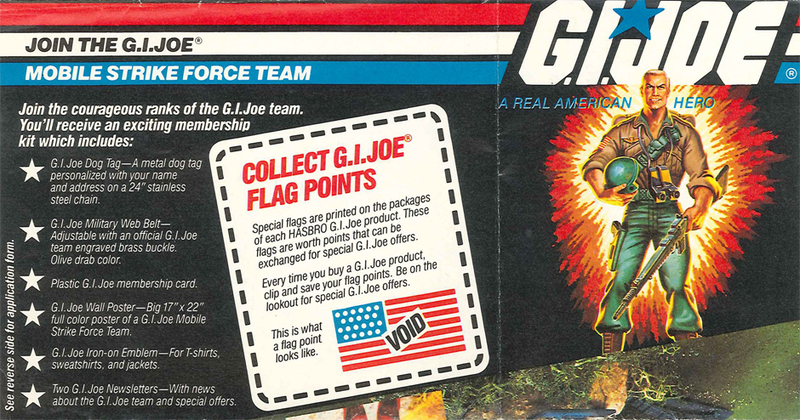 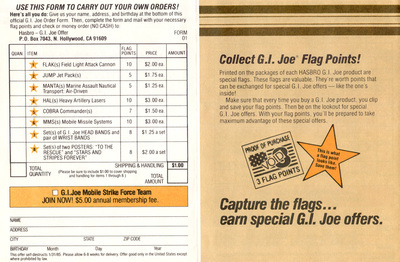 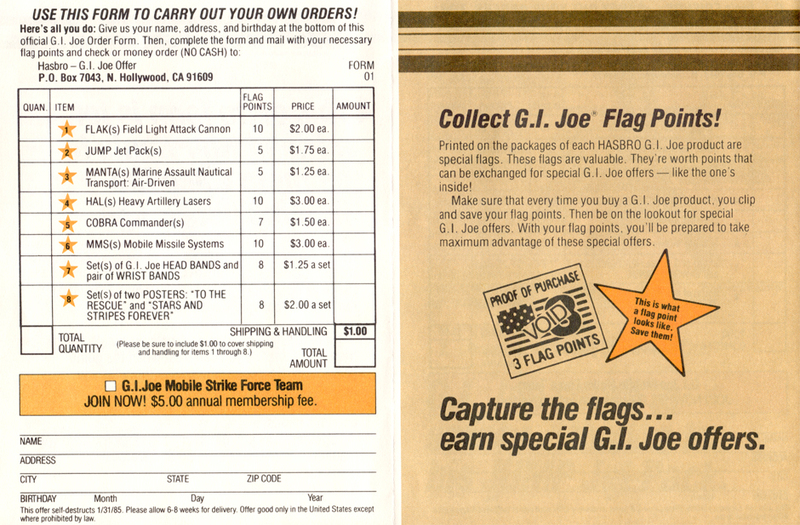 It encouraged collectors to continue saving flag points and order again.